Standing at the half-way mark of summer school, I feel like I’ve been running a race on a treadmill. I’ve learned a few things about chemistry. But more importantly, I’m getting reacquainted with a girl I knew about 27 years ago. I have a new appreciation for the youthfulness of my classmates and their ability to get things done. Whether it’s completing homework or writing detailed lab reports fifteen minutes before these are due, I see these kids multi-tasking their lives with their cell phones and I-Pods. I, on the other hand, spend hours after class pondering it all, backpack in tow, flashcards in pocket, desperately trying to establish a relationship with my scientific calculator. Eight weeks on a treadmill of doubt, I race to finish things that seem to take longer for me to understand. It must be my age. The excuses cause me to lay awake at night thinking about chemistry, the homework and the labs. After lecture and lab, I stay at school for the rest of the day working with the tutors and re-copying problems I can barely see with my 40+ year old eyes, and laughing at mistakes I make, like trying to balance an equation that is already balanced. Whether it’s dreaming about the charges of ions or the properties of certain chemicals, I’m living another life. My kids haven’t had a meaningful conversation with me in 4 weeks. Case in point: The query, “Mom, what’s for dinner?” equals the reply “We’re having Barium Sulfate in aqueous solution…honey”. This apparently happened while I was knee deep in my Stoichiometry homework. I realize, with my eyeballs cross stitching, I need to take a break. I decided that in between this madness of being a student once again, I had to leave my 50 pound backpack for 3 hours on a Friday and take my girls to go see the latest Pixar/Disney movie, “Cars”. Mom guilt or afternoon nap, I had to get rid of one and catch the other. The movie ended up being the hilarious escape I needed to get a little perspective about my state in life right now. I attribute it to a single line of script in the movie. At one point during a particular scene where hundreds of ‘cars’ have gathered in a stadium to watch a NASCAR race, all the spectators being various autos of different makes, models and types (much like people), a hush comes over the crowded arena. In the tiniest corner of the stadium is uttered a shout from some old “hippie car” who yells out the phrase, “Play Freebird!” I couldn’t stop laughing. My kids told me to shush up but the snickering wouldn’t stop. “Mom, what’s so funny?”… There were a few of us “over 40’s” in the movie theater and we were the only ones who got the joke. Not a single kid in the place heard it, and the grandparents behind me missed it too. It was a message for me I’m sure of it. To anyone over the age of 40, the song “Freebird”, performed by the 70’s rock and roll band Lynyrd Skynyrd, was basically the anthem of our youth. 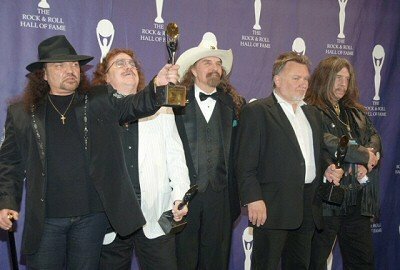 Lead vocalist Ronnie VanZant’s untimely death in a 1977 plane crash catapulted the group into legendary status, and they were recently inducted into the Rock & Roll Hall of Fame last March. The caption under a recent picture of them states that it took them seven nominations to be inducted which is befitting for a band that is nothing if not a survivor. I can relate to given this is my second attempt at chemistry in two decades. Looking at their website last night, I saw that they’ve aged right along with me. The fact that they still tour – makes me wonder if I should start taking supplements. Sharing a moment with my 15 year old last weekend, I put in the CD while we were driving home, and like the kid I once was, I belted out the lyrics, completely off key, air guitar in hand, with the other one holding onto the steering wheel. Despite the protests of my horrified teenage daughter, who thought I had completely lost my mind, I came to a decision. I know I can do well in this summer school class. I can step off this treadmill of doubt. I will pass chemistry, even if I am the old lady in the class who tries to balance an already-balanced chemical equation. That song represents a carefree time, with a carefree generation, who would shout out “Play Freebird” at any event, albeit, a NASCAR race, a Day on the Green, or a Church picnic. I came home from that movie, opened my books and realized that although it’s only been about 27 years since I shouted “Play Freebird” in an open room, I now see why my chemistry classmates get their homework done 15 minutes before class starts and why they can listen to their I-Pods and balance equations, all while chewing gum at the same time.